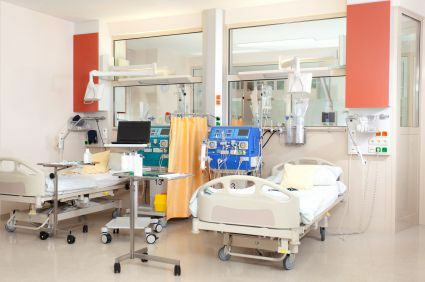 Injured by a Medical Mistake or Negligence in a Kentucky Hospital? Our Louisville Medical Malpractice Attorneys Have the Experience & Resources You Need to Get the Compensation You Deserve. You, or a loved one, saw a doctor or went to the hospital for one of two reasons. You were looking for a cure or you needed pain relief. Above all else, you expected not to be injured—or killed—by the negligence of a Kentucky doctor, nurse, or hospital. By seeking care, you entered into an agreement with the medical establishment. Pursuant to this agreement, the doctor, the staff, and the hospital should have treated you with reasonable care and should have used their knowledge to provide you with safe and competent care. Sometimes, errors do happen. Doctors are there to help heal the wounded and cure the ill. However, the individual treating you may make a mistake or become careless. This lack of competent care can have devastating effects. When a mistake occurs, the patient and the patient’s family pay the price. The price of being a victim of medical malpractice is not only the dollar amount needed for additional care, missed work, or necessary medical equipment. The mental health of an injured patient may suffer as well, and family members who assume the care for the maltreated patient must rearrange their lives and shoulder an unnecessary burden. The price can be enormous, but there may be a way to recover. Our experienced medical malpractice lawyers are respected throughout the Commonwealth of Kentucky and the nation. We conduct thorough investigations, with the help of the nurse whom we employ, we provide each client with the individual attention to make the best decisions possible, and we get results. Performing the wrong operation on the patient. Performing the operation on the wrong part of the body (i.e. the right knee instead of the left knee). Removing the wrong organ from the patient. Being distracted or failing to pay attention during surgery. Failing to adequately prepare for the surgery. Retention of a foreign object, such as a sponge or surgical tool, inside the patient at the end of the surgery. Misreading a chart during surgical recovery and giving the patient the wrong medication. Failing to inform a patient of and failing to treat a condition that is discovered during surgery. Improper closing of the surgical site at the completion of the surgery. Allowing an infection to develop because of the failure to properly sterilize the surgical environment. We have successfully represented patients who have been injured and families who have lost loved ones due to surgical errors. For example, we helped hold the doctor and hospital liable when a routine hernia surgery turned fatal for a 50-year-old wife and mother. During surgery, the doctor mistakenly cut a blood vessel, causing significant blood loss and damage to the woman’s spleen. The spleen had to be removed, and despite that trauma and the severe loss of blood, the surgeon continued with the original hernia repair surgery. After surgery, the woman developed sepsis but was released from the hospital. Shortly after her release she suffered a stroke from the sepsis. She was brought back to the hospital where she suffered additional strokes from her condition and her family was forced to make the difficult decision to remove life support. We worked with doctors and nurses to learn what really happened during surgery, to hold the doctor and hospital accountable, and to get a fair, confidential settlement. Similarly, we were able to recover a fair settlement for the family of a 54-year-old husband and father who died after a surgeon clipped an artery during a gastric band surgery. Again, a surgeon went ahead with the originally scheduled surgery after an emergency situation developed due to the clipped artery. After surgery, the patient had signs of bleeding and sepsis and was released from the hospital anyway. He died at home. We were able to recover $2.5 million in this medical malpractice case. Failing to give medication at the right time or missing a dose. Giving the wrong medication to the patient. Failing to account for allergies or drug interactions. Prescribing the wrong medication for the patient’s condition. Patients should be protected from these types of errors. However, sometimes they are not and we are here to help when the doctors and hospitals fail to do so. For example, we helped a man who went to the hospital for a common orthopedic surgery. The man happened to have diabetes and altered kidney function. Even so, he was prescribed narcotics to manage his pain when other, safer drug choices were available for him. He was not appropriately monitored while on the narcotics and he suffered cardiac arrest. He died five days later. We were able to secure a fair, confidential settlement for his wife and daughter. Similarly, we represented a toddler who suffered a drug injury in a Kentucky hospital. The young boy had signs of infection. However, the doctor at the hospital prescribed the wrong antibiotic to treat his infection. He was sent home, but his condition worsened. He went back to the hospital and suffered a brain injury because of the uncontrolled infection. The brain injury will affect him for the rest of his life. We were able to secure a $3.4 million settlement for the injuries caused by the systemic failure of the doctor, nurses, labs, and pharmacy involved in his care. Your treatment and your potential recovery start with an accurate diagnosis. When you visit your doctor to obtain a diagnosis for your illness, you trust that your physician will take the time to properly evaluate your symptoms to determine your medical condition. Sometimes a doctor does not provide the standard of care expected within his or her medical field, which can lead to a misdiagnosis. Ordered appropriate tests such as MRIs, CT scans, X-rays, blood work, bacterial cultures, etc. Referred you to a specialist or another doctor if an accurate diagnosis was difficult. Failure to diagnose a serious illness, such as diabetes, cancer, heart attack, or stroke can result in complications or even death. We recently represented a young child who was brought to the hospital. The local hospital was worried that the child might have meningitis and, accordingly, transferred her to a larger Kentucky hospital for a diagnosis. The larger hospital failed to diagnose the child’s meningitis and sent her home. Her mother brought her back to the hospital after she suffered a seizure and it was then that a meningitis diagnosis was made. However, the child had already suffered permanent brain damage. We fought hard for her quick and fair recovery and reached a confidential settlement that will provide for her current and future needs. A patient is not appropriately monitored while in the hospital. A patient is not advised to return for follow-up treatment on an outpatient basis. A hospital fails to account for a patient’s fall risk and the patient suffers a fall injury. Any type of medical malpractice can be devastating. It can result in painful conditions that require additional medical treatment—it can change a person’s life forever. In the most extreme cases of medical malpractice, loss of human life occurs. A wrongful death is any death caused by negligence on the part of the medical establishment. It is imperative that the survivors of this tragedy investigate the possibility that a mistake was made. By enlisting the help of the experienced Kentucky medical malpractice and wrongful death attorneys at Gray and White Law, medical malpractice victims, or their survivors, can understand how negligence has affected their lives and how to secure justice for their own suffering. If you suspect that you or a loved one is a victim of medical negligence in Kentucky, please call Gray and White Law at 888-450-4456 for a free consultation.